The female owners of Dubious (left) have picked up a $325,000 bonus for 2nd in the MM Classic. 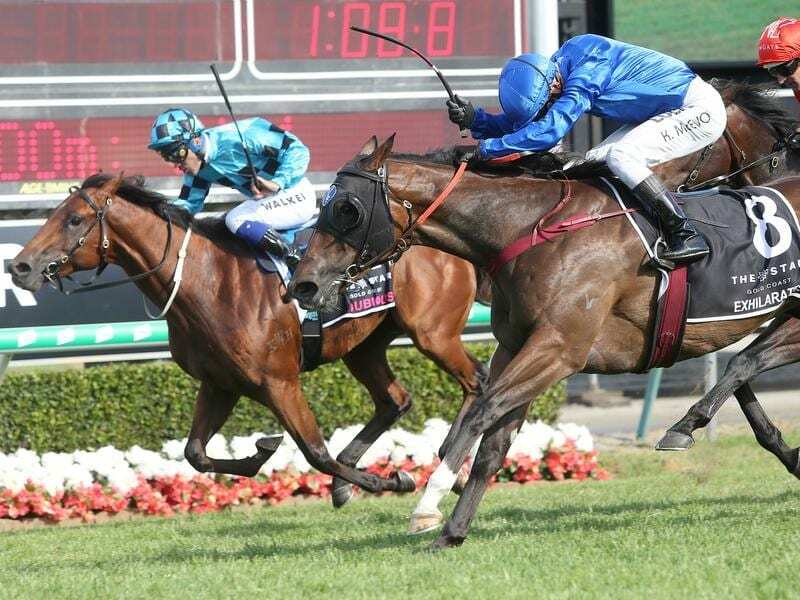 Connections of Magic Millions 2YO Classic runner up Dubious have got some consolation for their loss by picking up a $350,000 women owners’ bonus. There is $500,000 in bonus payments available on the 2YO Classic for horses owned by all-female syndicates. Dubious picked up the major portion of $325,000 to take his earnings from the race to $697,000. Champagne Boom who ran sixth picked up $100,000 while Courseshewill earned $50,000 for her eighth and Gala Miss who finished 10th earned $25,000. Tony Gollan (trainer) and Brad Stewart (jockey) each picked up a $50,000 prize for being the leaders in their field for the summer carnival.